Priyanka Chopra and Nick Jonas finally tied a knot in a lavish Hindu and Chritsian wedding ceremony at Umaid Bhavan Palace in Jodhpur. The couple celebrated their significant life event in a splendid way. In fact, Priyanka Chopra Nick Jonas wedding was a real life depiction of lavish marriage ceremonies in Bollywood movies or who knows if it inspires some upcoming movie scripts. Our desi girl’s wedding with Nick Jonas was more like a cultural exchange for being an amalgam of eastern and western tradition. 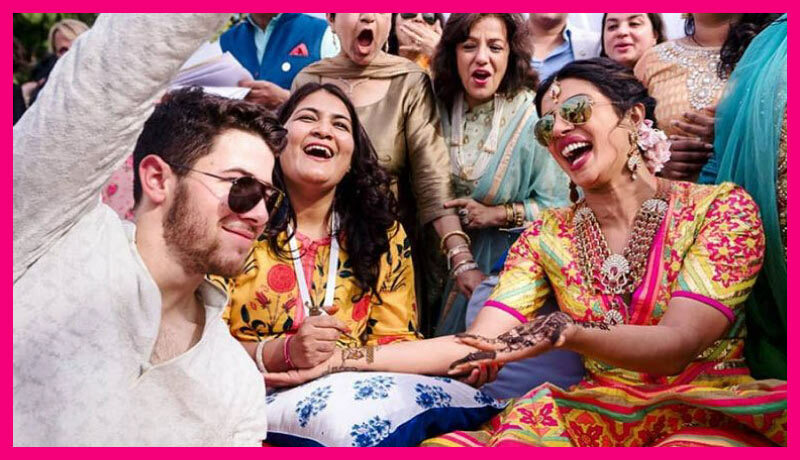 From Mehndi to Sangeet and Wedding Day everything that happened at Priyanka Chopra Nick Jonas wedding was grand and unique. On her Mehendi ceremony Priyanka donned a very unique dress embellished with colorful patterns. The pre wedding sangeet celebration where Chopra and Jonas families swayed to the tunes of Hollywood and Bollywood songs was a treat for fans. Families grooving to the music on Sangeet ceremony. Celebrations at Priyanka Chopra and Nick Jonas wedding ceremony were exactly opposite to what happened at Deepika Ranveer wedding and this tweet says it all about the difference. According to media reports Nick Jonas arrived at Mandap on Ghodi while Priyanka made a grand entry with Doli. Later the ceremony of changing garlands took place. Nick Jonas posted his pictures with his brothers after wedding ceremony. Priyanka Chopra wedding celebration was characterized by heavy fireworks; something that didn’t go well with fans. It is to be noted that Priyanka who often endorses green lifestyle and publicly admitted struggling with asthma gave people message to avoid fireworks on the eve of Diwali. Now, when she didn’t followed her endorsement on her wedding, folks criticized her for showing hypocrisy. This twitter user called out Priyanka for several other things. 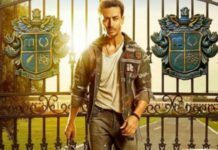 Priyanka Chopra’s wedding totally exposed her hypocrisy. 3. Supports Rohingya but chose an American Singer as her husband. Here is the view of Firework.